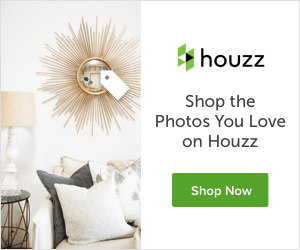 This post contains affiliate links to keep this post up and running at no cost to you. There were SO MANY things to choose from for Halloween decorations in a dollar store, but I only needed to buy these products to create this look…each only $1!! First, I started by assembling the centerpiece placing the black flowers in the Glass Cylinder Vases, 9 in. I am obsessed with this vase and use them all the time (I bought a case of them). You gotta love any vase that is only $1!! To complete the centerpiece, I bunched up the black netting on the middle of the table and then placed the orange plastic tray on top of it. Next, I just added the black glitter pumpkins. They carry both orange and black glitter pumpkins, but I liked how the black popped against the orange tray. Finally, the cute glass and black votive holders were placed into the centerpiece. Easy peasy!! Putting together the votives was even easier. No instruction needed here! To finish up, I added the placemats, plates, bowls, the candle accessories and the orange glitter pumpkins (which light up, by the way…bonus!). Not being into skulls and all the “scary” Halloween decorations out there, I thought these skull glasses were quite subtle (they are actually plastic so they are great for kiddos). 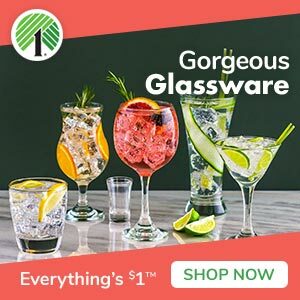 The 9″ Glass Cylinder Vase for a variety of floral arrangements throughout the year. The glass votive holders and votive candles can easily be used for every season! Be creative! The black and white plates could be used for many other table setting applications. 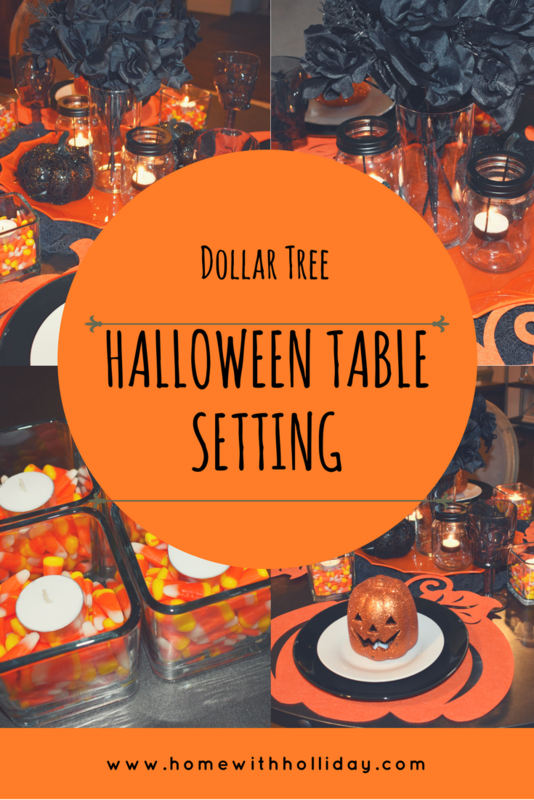 Hopefully, you enjoyed watching how I put together this cute Dollar Tree Halloween table setting. At least, my daughter did! Wink, wink. This post contains some affiliate links to help keep this blog up and running. Click here to read my Disclosures. Please consider subscribing to my blog to receive instant notifications of new posts. Love the Glitter pumpkins. Wish I had a Dollar Store closer!